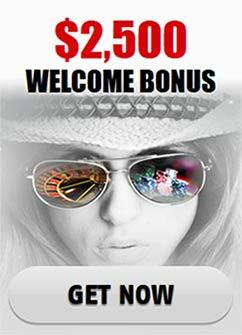 Triple Rainbow Sevens Slot doesn’t offer plenty of gameplay diversity with its three reels and a single payline but it makes up for it with its accessibility to both big riskers and cautious players and it tremendous awards. You can select up to two coins with which a spin can be started. Coin denominators include 1 cent, 5 cents, 10 cents, 25 cents, 50 cents and then ten values from 1 dollar to 10 dollars. The background of Triple Rainbow Sevens is as simple as its gameplay-it’s a handsome rainbow extending diagonally through the middle of the royal blue background. Players should depend on the substance of the game, not its looks if they want to enjoy this particular slot. The symbol that will make you the happiest on the reels is the Rainbow Seven Wild-a red 7 on the background of a rainbow with the words Triple Rainbow over it and a small apostrophe “S” after it. A single one of those wilds will triple the eventual earnings out of the spin. Two symbols will increase the winnings nine times. Obviously, these multipliers will be active in the cases when the wild completes winning combinations. The rest of the symbols in the game are all sevens too with the exact same shape as the wild, only with no background and they are unable to deliver fancy multipliers. The weakest normal Sevens combination is just a mix of three different kinds on the reels. That is followed by a triple green Seven symbol combination which grants 20 coins per a bet coin. The yellow Sevens deliver 25 coins for a single bet coin. The blue Sevens pay 40 coins after the first bet coin and 80 after the second. The purple/dark-punk Sevens offer a payout of 80 coins for a single bet coin. The red Sevens deliver 150 coins for single coin bet and 300 coins for a two-coin bet. Naturally, as you might have guessed yourself, the king of the payouts in this game is the wild symbol itself. Its triple combination will pay 1500 coins with just one bet coin. Three of the Triple Rainbow Sevens symbol combination at 2 bet coins will deliver 4000 coins. Obviously, you should be aware that getting those 4000 coins will be extremely difficult and rare but rest assured-not impossible and even if you don’t get it at the first game, you can be sure that the rest of the Sevens will make sure that you’ve had a good time at the reels of Triple Rainbow 7s Slots.